Naomi is a single mother and her daughter Gracie is all she has. She lives and works on the Cortez ranch, but it's time for a change. She's finally able to purchase her own property, so she can make her dream of owning a bed and breakfast come true. Things are looking up for her and Gracie, but then she runs into Lucas Cortez, her teenage sweetheart. He is back in town and Naomi knows she's missing something in her life, love. Lucas left Naomi and never returned. They still have feelings for each other, but it isn't easy to forgive him for what he's done to her and trust him again. Will she be able to get over the past, so that they can finally have their second chance? Lucas is back at the family ranch. He left years ago and didn't feel welcome in his hometown any longer, so he stayed away for as long as he could. It's time to help his brothers with their business, but there are still people who would be glad to see him leave. His return should only be temporary, but then he meets Naomi and knows he can't stay away from her. He also easily gets along with her daughter Gracie. Will that be enough to find a way back to the love of his life? Or will the secrets of the past mess things up between them once more? 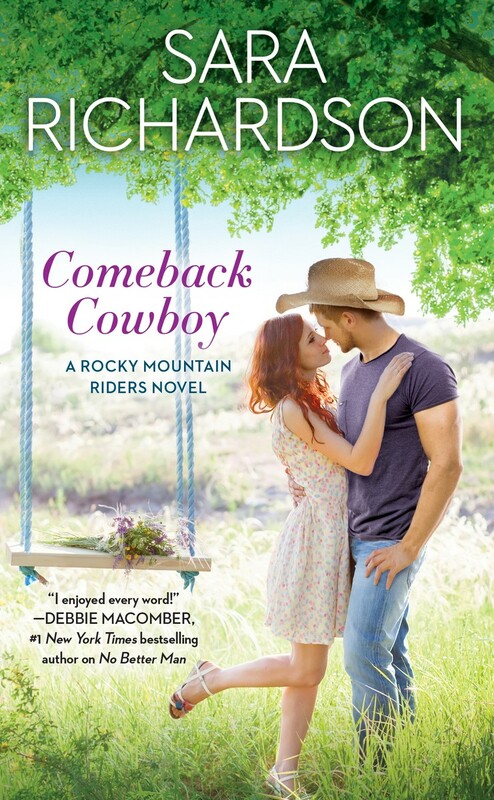 Comeback Cowboy is a wonderful romantic story. It's clear from the beginning that Naomi and Lucas are soul mates, they're destined to be together, but fate has dealt them a cruel hand. There's something about the past Lucas hasn't shared with Naomi and it already made him lose her once. I felt bad for him and kept hoping she'd give him a second chance and that the truth would come out. Lucas and Naomi are both sweet and caring people and I liked them very much. Gracie is adorable and fortunately she's a resilient child. I enjoyed reading Sara Richardson's dialogue a lot, it made the main characters of her story come to life incredibly well. Comeback Cowboy is a story about complex family relationships, secrets and true love. I love stories about those subjects and think Sara Richardson has written a great book. I enjoyed the gorgeous descriptions of her setting, her honest and deep way of describing emotions and the moving way she writes about the willingness of her main characters to sacrifice their own happiness for the people they love. The result is a fantastic complete love story. Comeback Cowboy is captivating, gripping and charming and I absolutely loved this amazing book. 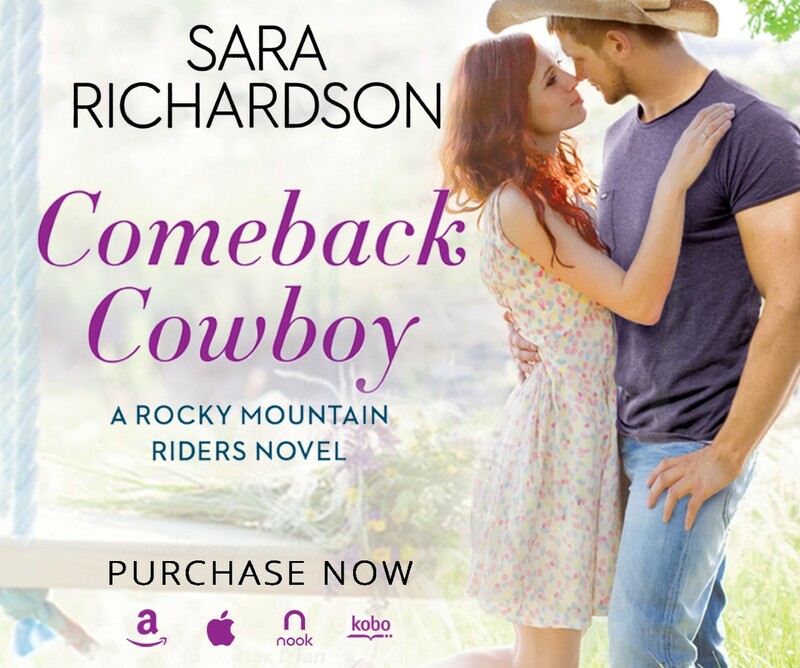 If you love countryside romance you will like Comeback Cowboy. It's the second book in a series, but it can easily be read as a standalone. 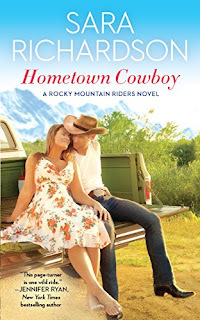 Love cowboy romances, thanks for the review! Me too and this is definitely a good one. Thank you for the great review! Sounds like a charming romance! Love the thorough review I too love cowboy romance. Second chances is another favorite of mine. Sara's writing style and use of dialogue appear to have won you over, Suze! I love happy endings and cowboy love stories :) It sounds beautiful! Love cowboy's so thank you for the review! I love cowboy stories. I have to take a look at his books. I need to be in the right mood for a cowboy book but been feeling the need lately. This one looks good. And when people don't want this cowboy around yet he stays? Good on him! I do love a a second chance romance. This book sounds great. I will have to check it out. Thanks for the awesome review! This book sounds so sweet. Thank you for your review. I have recently started reading this author and I must say I've enjoyed everything I've read so far. This one is on my wish list. HIP HOP Very efficiently written information. It will be beneficial to anybody who utilizes it, including me. Keep up the good work. For sure i will check out more posts. This site seems to get a good amount of visitors. blockchain This is also a very good post which I really enjoyed reading. It is not every day that I have the possibility to see something like this.. The Cover is so lovely! eseostore This is also a very good post which I really enjoyed reading. It is not every day that I have the possibility to see something like this..
vigrx plus It has fully emerged to crown Singapore's southern shores and undoubtedly placed her on the global map of residential landmarks. I still scored the more points than I ever have in a season for GS. I think you would be hard pressed to find somebody with the same consistency I have had over the years so I am happy with that. เล่น sbobet ฟรี This is also a very good post which I really enjoyed reading. It is not every day that I have the possibility to see something like this..
$300 Bing Ads This post is very simple to read and appreciate without leaving any details out. Great work! Hood Cleaning Oklahoma City I must admit that your post is really interesting. I have spent a lot of my spare time reading your content. Thank you a lot! gift card generator It is the intent to provide valuable information and best practices, including an understanding of the regulatory process. roofing contractors It's late finding this act. At least, it's a thing to be familiar with that there are such events exist. I agree with your Blog and I will be back to inspect it more in the future so please keep up your act. mariage gay This is also a very good post which I really enjoyed reading. It is not every day that I have the possibility to see something like this.. Coating Agent in Food Additives I feel very grateful that I read this. It is very helpful and very informative and I really learned a lot from it. pipe fitting Really nice and interesting post. I was looking for this kind of information and enjoyed reading this one. Keep posting. Thanks for sharing. visas I am really enjoying reading your well written articles. It looks like you spend a lot of effort and time on your blog. I have bookmarked it and I am looking forward to reading new articles. Keep up the good work. Hair Loss Such a very useful article. Very interesting to read this article.I would like to thank you for the efforts you had made for writing this awesome article. maternity clothes in dubai The next time I read a blog, I hope that it doesnt disappoint me as much as this one. I mean, I know it was my choice to read, but I actually thought you have something interesting to say. All I hear is a bunch of whining about something that you could fix if you werent too busy looking for attention. inmobiliaria de lujo madrid This is really very nice post you shared, i like the post, thanks for sharing..
Buy Bitcoin Online I finally found great post here.I will get back here. 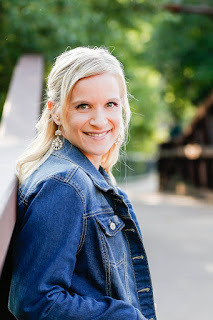 I just added your blog to my bookmark sites. thanks.Quality posts is the crucial to invite the visitors to visit the web page, that's what this web page is providing. business This is also a very good post which I really enjoyed reading. It is not every day that I have the possibility to see something like this..
Sobha villa gurgaon I recently came across your blog and have been reading along. I thought I would leave my first comment. I don't know what to say except that I have enjoyed reading. Nice blog. I will keep visiting this blog very often. Houston Security Guard Nice information, valuable and excellent design, as share good stuff with good ideas and concepts, lots of great information and inspiration, both of which I need, thanks to offer such a helpful information here. learn the guitar London I like viewing web sites which comprehend the price of delivering the excellent useful resource free of charge. I truly adored reading your posting. Thank you! Professional CV Writers in Kenya Nice information, valuable and excellent design, as share good stuff with good ideas and concepts, lots of great information and inspiration, both of which I need, thanks to offer such a helpful information here.